From the Booker Prize-winning author of The Handmaid's Tale, comes this historical fiction graphic novel tracing the Golden Age of comic books. 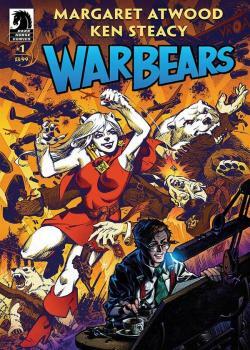 Oursonette, a fictional Nazi-fighting superheroine, is created at the peak of World War II by comic book creator Al Zurakowski who dreams of making it big in the early world of comics publishing. A story that follows the early days of comics in Toronto, a brutal war that greatly strains Al personally and professionally, and how the rise of post-war American comics puts an end to his dreams. International and New York Times best-selling novelist Margaret Atwood and acclaimed artist Ken Steacy collaborate for one of the most highly anticipated comic book and literary events!